TRENTON, NJ -- A deaf Atlantic City woman who primarily communicates in sign language is suing Taco Bell, saying she found it difficult, if not impossible, to order two tacos at the fast-food chain's drive-thru window. 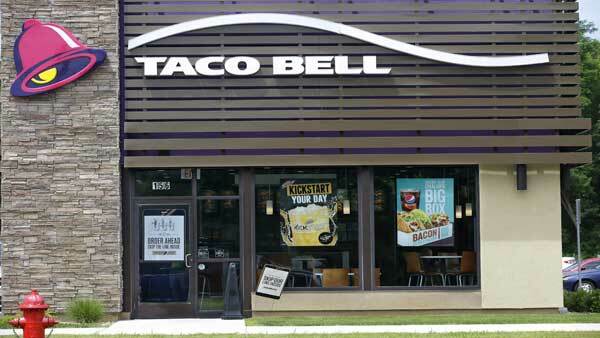 Gina Cirrincione said in her federal lawsuit that on Jan. 11, she wrote her order on a slip of paper and handed it to an employee at the drive-thru pickup window at a Taco Bell in Pleasantville. Her video of the exchange, provided to The Associated Press by her lawyer, showed an employee trying to explain that orders are placed at the start of the drive-thru. "I will do it this one time," he then said. "I want you to understand me, one time. After that, no more. After that, no more. Come inside. OK, is that fair?" On March 15, Cirrincione said, she wrote her order on a slip of paper and handed it to a drive-thru employee at a Taco Bell in Atlantic City. The note was returned and the window was shut without the order or an explanation, she said. She said she entered the store and was ignored. Taco Bell's drive-thru system requires a customer to hear and speak, making it inaccessible to the deaf in violation of the Americans With Disabilities Act, the lawsuit claims. Taco Bell spokeswoman Laura Nedbal said in a statement Friday to the AP that the California-based company had not yet received the lawsuit so could not comment on it. However, she added, "Taco Bell has a fundamental policy to respect all of our customers and employees, and we are committed to maintaining an environment free of discrimination or harassment." Cirrincione wants Taco Bell to develop a policy to consider the needs of deaf customers and to train employees about their rights. She also is seeking punitive and compensatory damages. "With today's technology and the sophistication of Taco Bell, there is no excuse that their drive-thrus cannot be accessible," said attorney Eric Baum of The Eisenberg & Baum Law Center For The Deaf and Hard of Hearing, who is representing Cirrincione.